Nearly 53,000 people live in poverty in the City of Richmond.Richmond is one of the lowest ranked cities in the nation for individual economic progress. And we have one of the highest eviction rates in the country. Despite hard work and courage, many of our neighbors who are born into poverty find themselves still there at the end of their lives. It’s unconscionable and unfair. While we may win the best of thisand the best of thatin national competitions, that best of experience is not available to nearly one quarter of our neighbors. That’s a problem that needs fixing. And The Giving Wall is a new initiative here to help. Founder, Becky Crump believes that to stop the unrelenting pull of poverty and help hard working humans rise to a better quality of life we need two things: compassion and coordination. To prove the collective power of Richmond, The Giving Wall was created as a web platform designed to connect the unique and urgent needs of people living beneath the poverty line with those who want to help. Crump invites users to The Giving Wall, found at www.thegivingwall.org, with an open heart and mind. 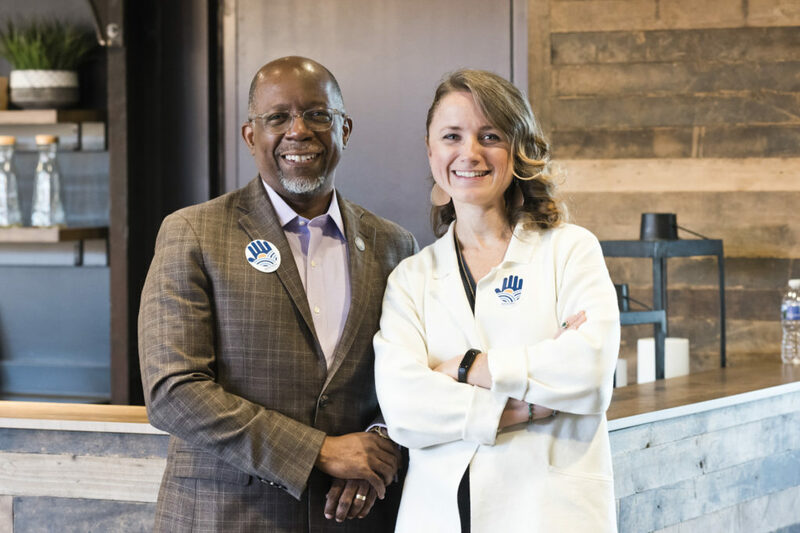 She encourages Richmonders to wander through the online platform where they can take on the role of “supporter” and give the gift of progress by purchasing a “need,” ranging from auto repair to a professional certification to receive a long-awaited promotion to new clothes. Along the way, users can reach out a hand with respect and understanding to help a fellow human at a critical time in their life. Crump’s idea was inspired by the simple act of using a bulletin board to list people’s needs and then inviting others to help chip in. Since the launch of The Giving Wall, hundreds of Richmonders have visited the virtual bulletin board to connect with the personal stories of poverty, compassion, and grit that are shared on the online platform each day. Most of all, they are joining together on a journey toward collective action and thriving. 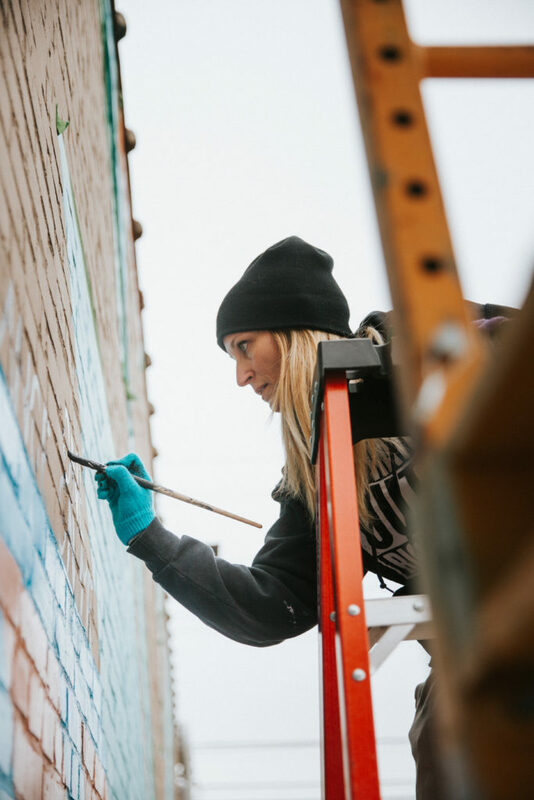 To capture attention for this empowering initiative, Crump turned to actual physical walls throughout our city as her canvas. Three walls in Richmond, painted by over 80 volunteers in three days, highlight stories of progress. Take a walk down 29th Street in Church Hill and you’ll find murals whose messages are artistic manifestations of The Giving Wall’s essence. As an example, words of our community adorn the brick walls of Blue Sky Fund and Soul n’ Vinegar; visible testimonies of trial and triumph painted for all of Richmond to see. Make your way to Scott’s Addition for dinner at Perch and behold the same on a wall that flanks their parking light. These stories tell tales of progress – of people who needed support, and others who made a difference by extending a hand at a critical time. Crump says that The Giving Wall, which was created in partnership with the Office of Community Wealth Building, is possible due to the outpouring of support from technologists, artists, and nonprofit partners. She points out that the partnerships it took to build The Giving Wall are as unique as its solutions. “They demonstrate that not only can we not do life alone — we can’t solve for life’s challenges in unproductive silos,” says Crump. All of the needs submitted to The Giving Wall are vetted and approved by the Richmond Office of Community Wealth Building caseworkers who determine if the need can be fulfilled by other local organizations. If the need can’t be met elsewhere, it’s posted to the wall for the community to help lift a person or family out of poverty. All of the services or products that are purchased on behalf of person in need go directly to that individual or family. The platform also offers the one-click option to donate to a general fund to help meet those urgent needs that run the risk of going unfulfilled. There is no minimum or maximum amount for contributions, and all contributions are tax-deductible. Crump hopes that The Giving Wall will encourage Richmonders to work together to create a compassionate community with a shared mission. One urgent need, one gesture of care, one heart-shifting conversation at a time. Todd is an engineer, artist, and community advocate. He has a career in systems de-velopment providing vision and leadership in strategy, planning and implementation. 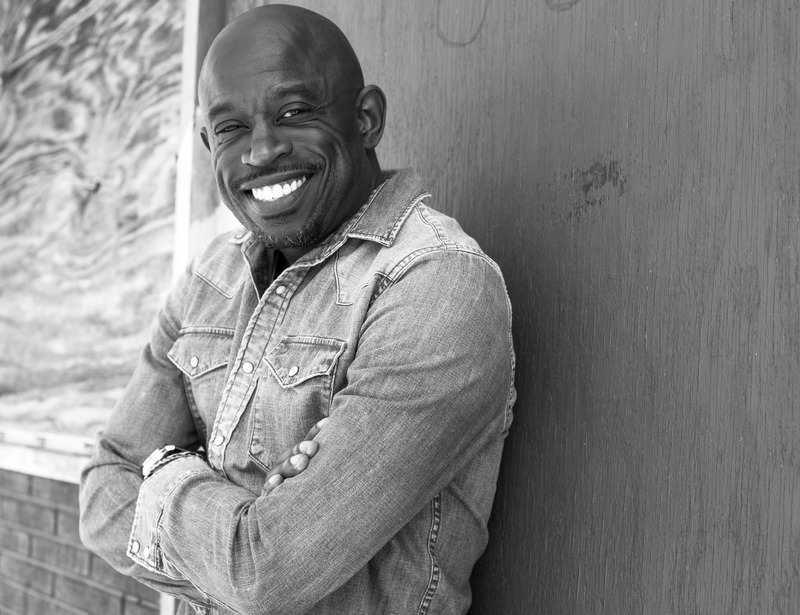 He serves on the boards of the Robinson Theater Community Arts Center, Afrikana Independent Film Festival, and Better Housing Coalition.